Colonial Revival. 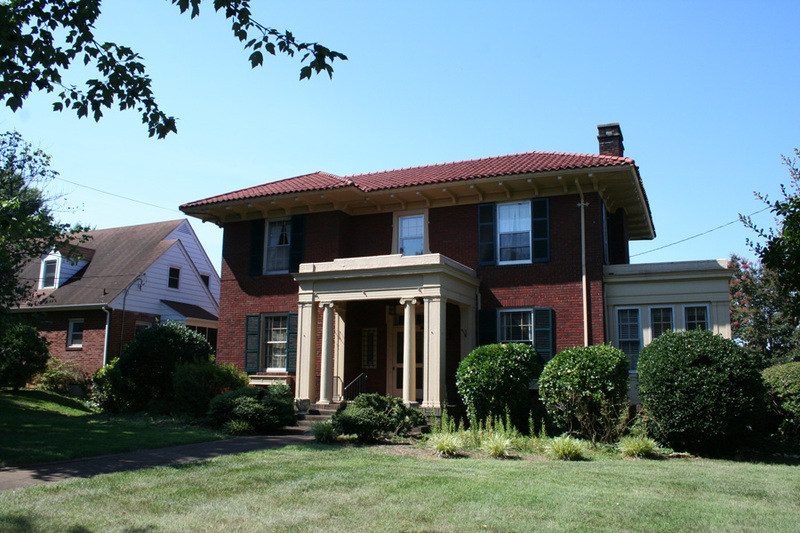 2-story, 3-bay hip-roofed brick house with tile roof, wide overhanging eaves and a chimney on the west. 1-story porch has Ionic columns. 1-story semi-circular porch is on the west.